• PLOT SUMMARY: Written by Joey Cavalieri. Art by Val Semeiks & Livesay. 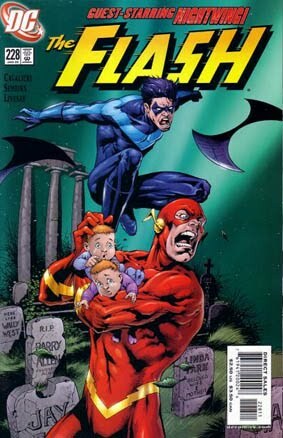 The extraordinary tale 'Finish Line' continues as Nightwing tries to help Wally piece together the clues to who's behind the evil threatening the West family. Is the end near for Wally?